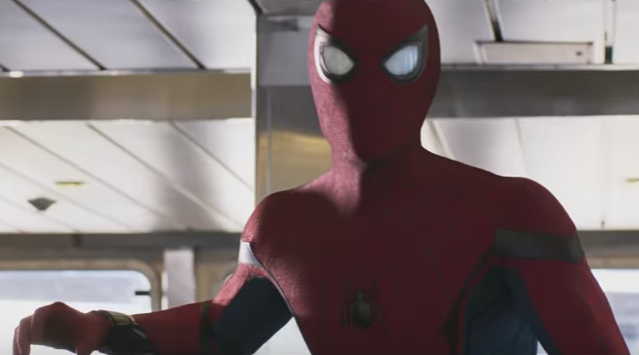 Spider-Man: Homecoming debuted the first official trailer on 'Jimmy Kimmel Live' last night and as expected, the long wait was worth it. Not surprisingly, the internet went bananas as fans were reintroduced to Tom Holland as Peter Parker (after appearing in Captain America: Civil War), Robert Downey, Jr. reprising his Tony Stark role and our first look at Michael Keaton as the Vulture. Sony made a deal with Marvel Studios to bring the latest iteration of the web-slinger just 3 years after the last Spider-Man movie. It made a ton of money but left many fans uneasy and uninspired about the direction of the franchise. Now, through the collaboration of the studios, Spidey is officially part of the MCU and thus the supporting role of Downey's Stark. This reboot avoids yet another origin story and goes younger and more diverse in casting. Peter is in high school and yearns to save the world but Stark is there to slow him down while he learns to be a better more seasoned hero. Things go sideways when Vulture wreaks havoc on the city and it gets personal. Lookout for an appearance by Shocker (Bokeem Woodbine) in the international trailer below. The film also stars Jacob Batalon as Peter’s high school buddy Ned Leeds, Laura Harrier as Liz Allan, Tony Revolori as Flash Thompson, and Zendaya as "Michelle" who may or may not be actually be Mary Jane. Spider-Man: Homecoming opens on July 7, 2017.